We have all been around it. We have heard and seen it happening, and when we do, something in us rises up and we just want to slap the snot out of the one who is doing it. NOT because we are mad or angry at them, but that they would be so foolish as to think anything good can come out of it. I am speaking about the condition of a person’s heart that would allow them to go as far as to do those things that God hates when it comes to relationship with others. In Proverbs 6:16-19, among other places, we read of things that God hates. How is it that someone cannot recognize these things as being not only destructive to people around them but also destructive to their own life? When someone is living at such a place in their lives where they go out of their way to live with such things as a part of their lives, the reality of where their heart is and how self-deceived they are really shines through. It is the kind of self-deception that causes them to believe that they have a right – even an obligation – to be the way they are. Tragically, they are not aware enough of the spiritual battle going on in their lives to recognize when they have become a puppet of the prince of darkness. As a professing Christian, I’m not one to speak of anything but the love of God for the world. The God of Israel is the only God out of the millions of manmade gods who abounds in love, offers merciful redemption, and amazing grace. This is the message that I love to share more than anything else. It is the message where I see God work the most – when I share of His love, mercy, forgiveness, and grace. Yet, there is a side of God that is not spoken about often. It is His hatred for certain things. How can a God of love, hate? 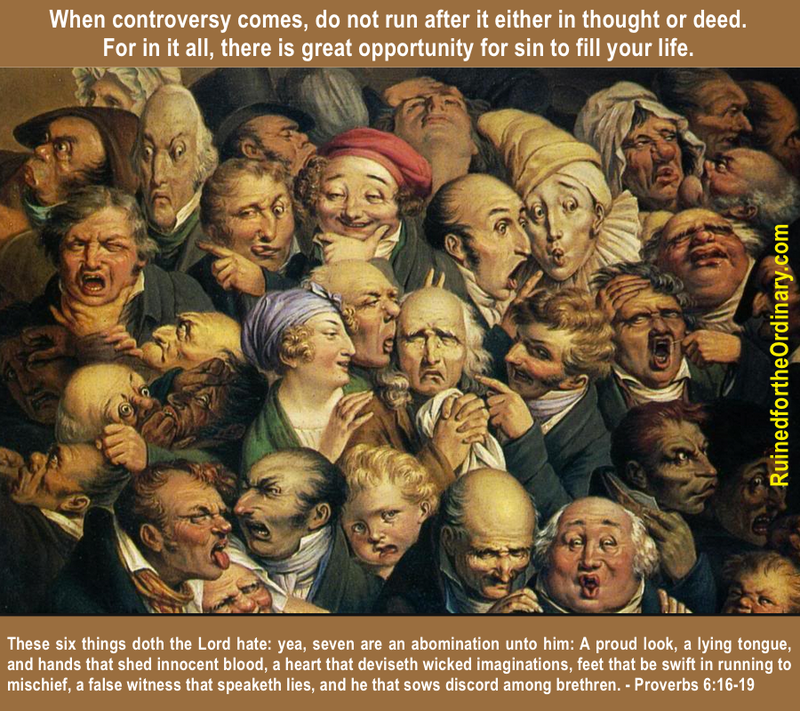 In Proverbs 6:16-19, among other places, we read of things that God hates. If you have ever met someone that operates in any if these things, you have probably felt the same way that most people do who have a personal relationship with God. No one with any character wants to hang around people like this unless they are like this as well. Maybe this is why is is not a surprise that most people in tend to hate these very things that God hates. Herein lie the greatest reasons for the conflicts in our world – willfully doing those things that God hates. May we all learn to love what God loves, but also to hate what God hates. This will be a world changer if everyone begins to hate the things that God hates.